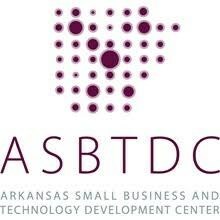 The Arkansas Small Business and Technology Development Center presents “Small Business Forum: Ask the Experts” from 10:00 a.m. to 12:00 p.m. on May 7 at the Fort Smith Regional Chamber of Commerce. In celebration of National Small Business Week, experts in five different areas will come together to discuss topics concerning small business ownership, management, and best practices. Participants will then have the opportunity to get answers from those experts: an attorney, a certified public accountant, a marketing specialist, a business consultant, and a lender. Those new to business and existing businesses are encouraged to attend. There is no fee to attend thanks to Arvest Business Resource Center. Seating is limited with registration required no later than May 6 at 479-356-2067 or asbtdc.org/russellville-events. J. Gregory Magness is an attorney and partner at Hardin, Jesson & Terry, PLC, who brings legal knowledge in the areas of corporations, commercial transactions, creditor rights, and bankruptcy matters to the table. 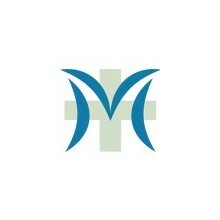 Magness is a member of the Arkansas, the Oklahoma, and the Sebastian County Bar Associations. He is admitted to practice in the U.S. District Courts, in the Eastern and Western Districts of Arkansas, and in the Northern District of Oklahoma. Magness holds a Bachelor of Arts degree from the University of Arkansas and a Juris Doctorate from the University of Texas. Mr. Magness can effectively answer many legal questions you may have as a business owner. Chris Raible is a vice president for Arvest Bank and the Business Resource Center Manager for the Fort Smith location. Mr. Raible has been with Arvest for more than twenty-five years, serving in various roles including his previous position as Loan Operations Manager. He graduated from the University of Arkansas at Little Rock and attended the ABA National Commercial Lending School, the ABA National Consumer Lending School, and RMA Lending Academy. Mr. Raible is sure to be a wealth of information regarding the financial health of your business. Certified public accountant, Katie LeJong, has been with Landmark CPAs since her career began as an accountant in 1999. Over the years, she climbed the ranks within the firm and today serves as the firm’s Personnel and Marketing Director, overseeing the firm’s business development activities and mentoring programs. Katie’s expertise is in general accounting, construction and nonprofits. Ronda Hawkins is a business consultant for the Arkansas Small Business and Technology Development Center at Arkansas Tech University in Russellville. With many years’ experience in business consulting and as a small business owner, Hawkins specializes in advising startups and existing businesses in a variety of areas. Her knowledge qualifies her to offer advice on topics such as start-up steps, business planning, assessing the market, managing a business, and more. Hawkins holds a Bachelor of Science and a Masters of Arts degree from Arkansas Tech University. You've successfully shared Small Business Forum: Ask the Experts. An error occurred while sharing Small Business Forum: Ask the Experts. Please try again.